Supply in single-user factory spaces could jump by c.9%. 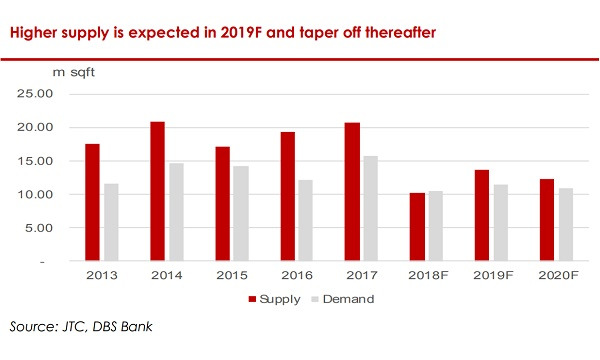 This chart from DBS shows a jump in supply and demand of industrial properties are to be expected in 2019. The supply surge in 2019 could be the result of a delay in completions in 2018. However, DBS noted that it is also expected to reduce over the next few years. Downward pressures to rentals and occupancy rates could be controlled over the coming years. Amongst industrial types, single-user factory spaces will see a c.9% rise or close to a 2.2 million sqm increase in new supply, whilst multi-user factory spaces will see close to a 1.7 million sqm of new supply (c.15% increase). This is followed by warehouse spaces at c.6% (or close to 0.6 million sqm). 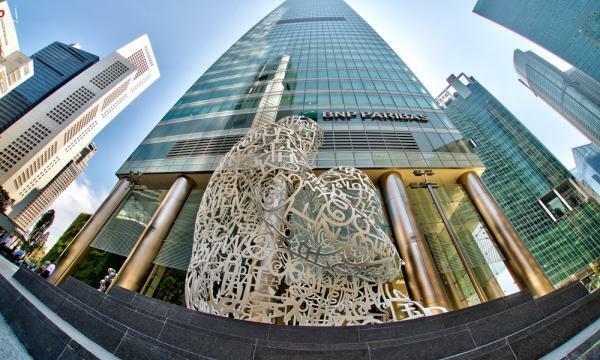 The business park space will add another 0.3 million sqm (up c.12%). However, most of the space is precommitted and thus not an issue for existing landlords. Meanwhile, the demand the industrial space went higher than the supply in Q4 2018 and is expected to rise if the expansion in manufacturing activities continues. Furthermore, DBS added that there would be a pickup in demand for single-user factory space as it comes on the back of consolidation of operations to achieve operational efficiency.